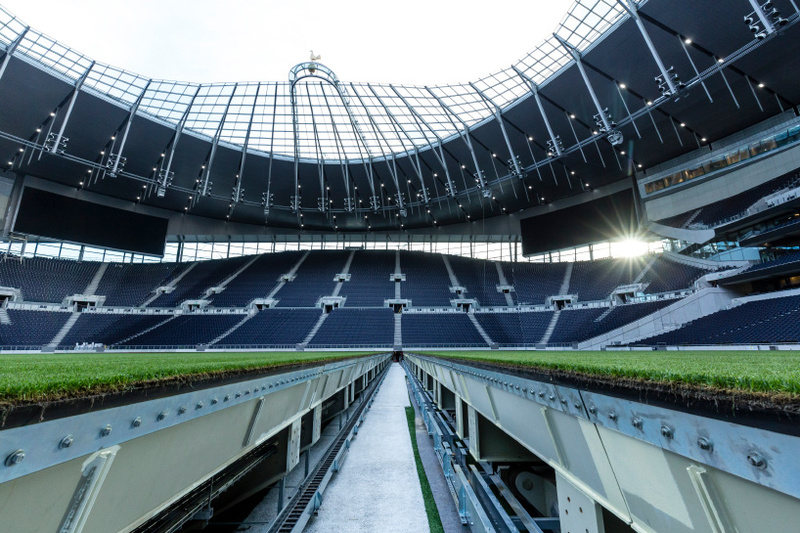 tottenham hotspur’s new stadium is finally ready to host its first competitive game — and fans are already sure that the arena is well worth the wait. after years of construction, the populous-designed stadium boasts a capacity of 62,062 and, thanks to a fully retractable pitch, will be able to stage both football and NFL games. 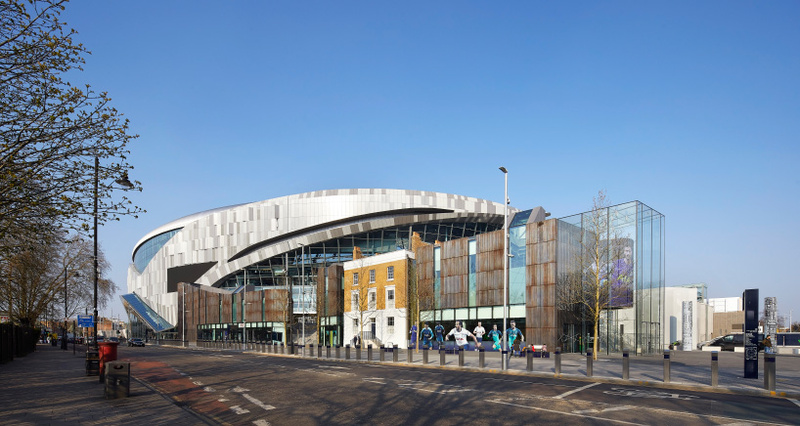 serving as a new landmark for the local community, and the city of london, the stadium is shrouded behind a façade of perforated screens which, at night, transform the arena into a lantern that highlights the activity within. 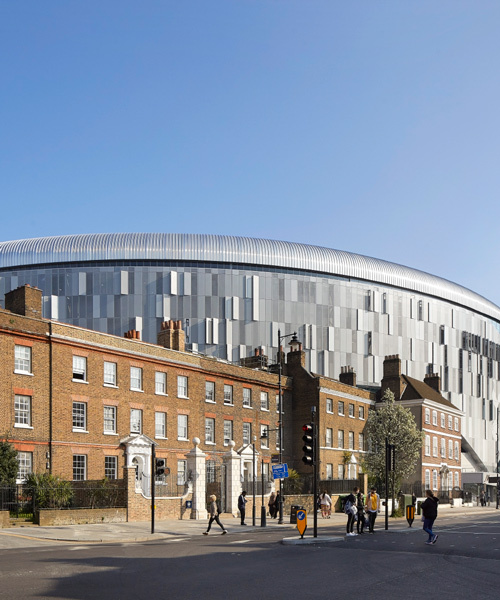 the new stadium will host its first competitive game on april 3, 2019 when tottenham hotspur meet crystal palace in the premier league. the stadium will host its first NFL game in autumn 2019, showcasing its unique ability to accommodate the technical and operational requirements of both sports. the retractable pitch will also enable the stadium to host concerts and a range of other events, fulfilling the club’s ambition to create a major sports and entertainment destination that will support the on-going regeneration of the area, 365 days a year. 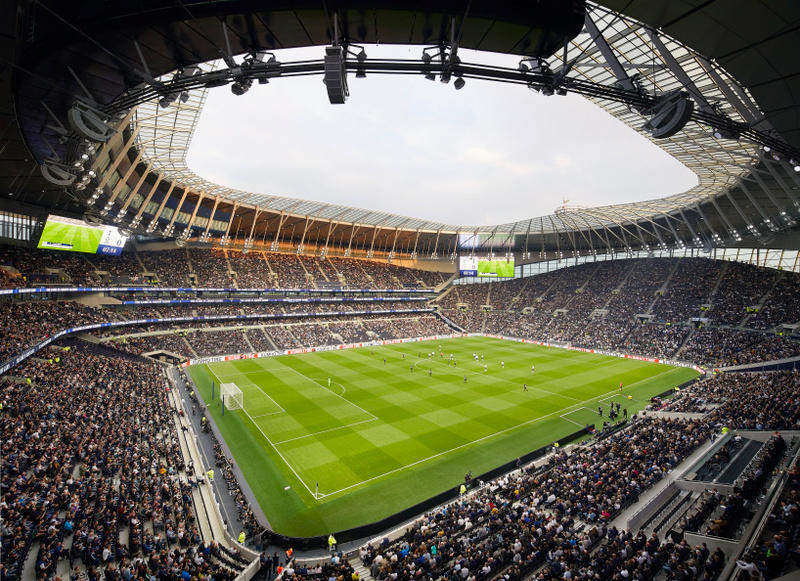 populous hopes that the stadium will generate one of the best match day atmospheres in the world, with uninterrupted sightlines and by positioning spectators as close to the pitch as possible. 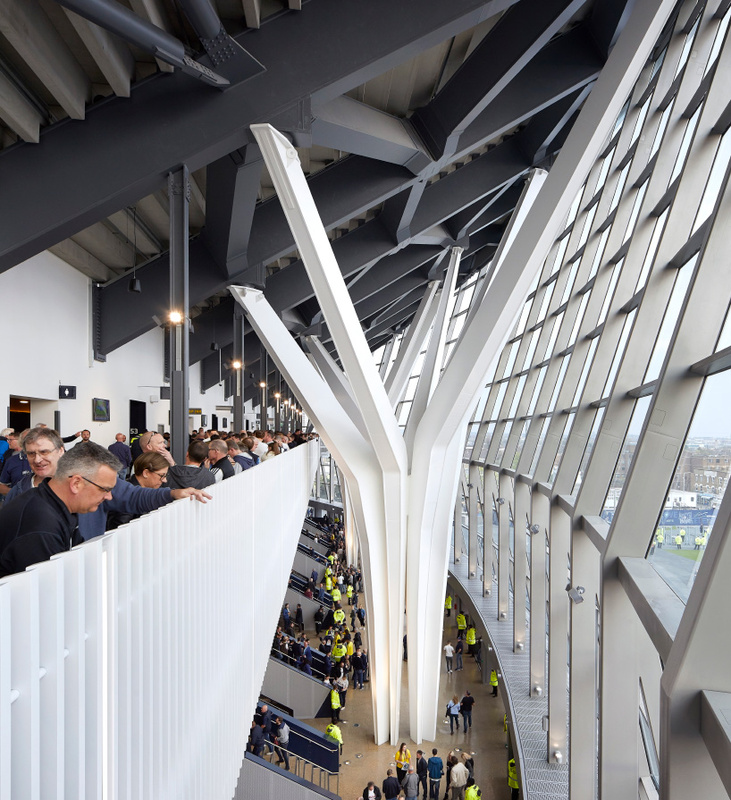 the stands are angled at 35 degrees — the steepest angle that UK guidelines recommend — to create a tighter, atmospheric stadium bowl which focuses towards the southern ‘home end’, where 17,500 spectators will come together to generate a ‘wall of sound’ in the largest single-tier stand in the UK. a concert-hall inspired acoustic set-up, which amplifies the noise inside the stadium, will add to the atmosphere and spectator experience. 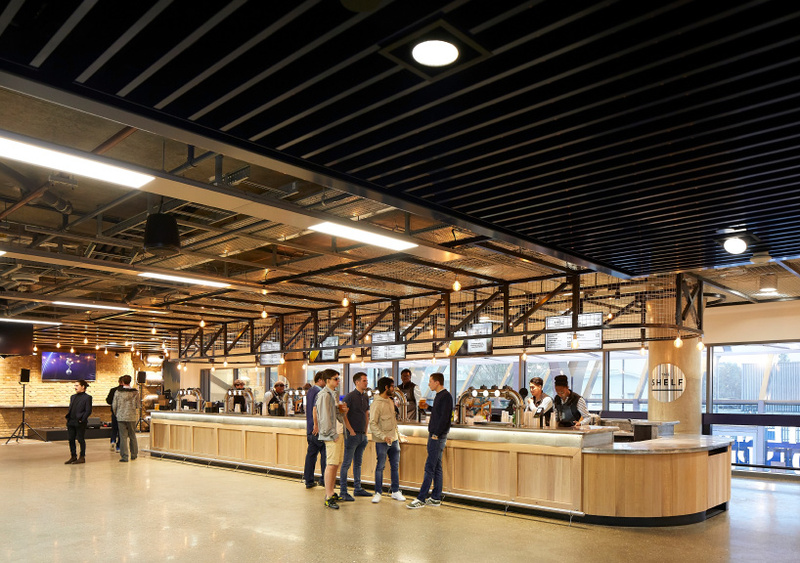 wireless connectivity is available across the venue and will enable fans inside the stadium to connect with and share their live event experiences with other fans across the globe. 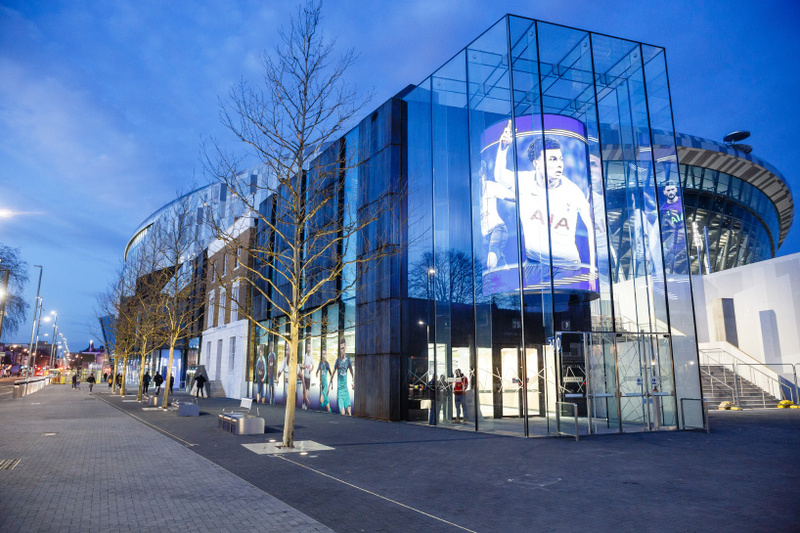 a five-storey high glass atrium at the south end will provide a new meeting place for home supporters before and after the match including an open food court. 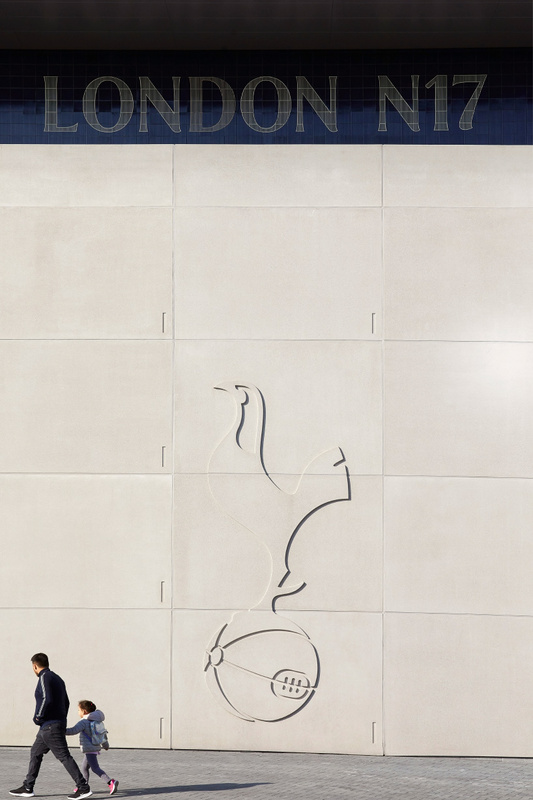 this entrance provides a glimpse of life within the stadium and has been designed to create a sense of arrival. 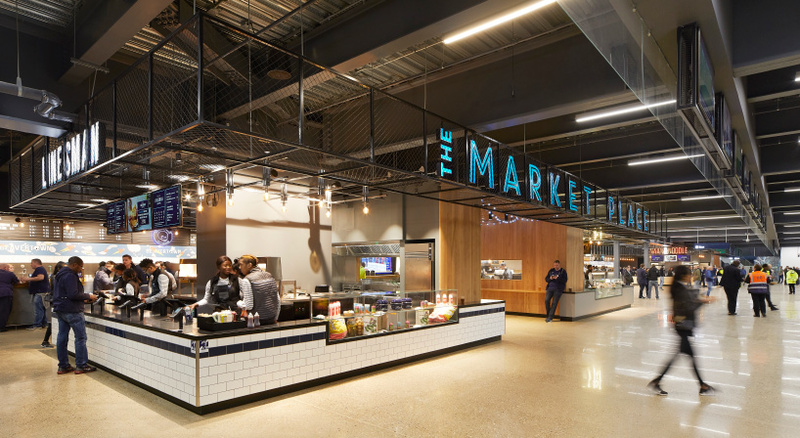 the stadium also offers a vast range of food and drink, retail, and premium experiences. 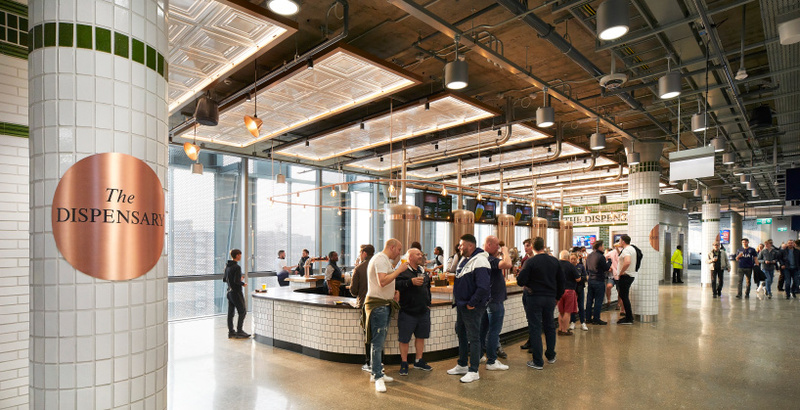 these include: a new fan zone that features europe’s longest bar and a microbrewery; a michelin star caliber members’ club; and a lounge where guests can enjoy panoramic views across london from the stadium’s highest point. 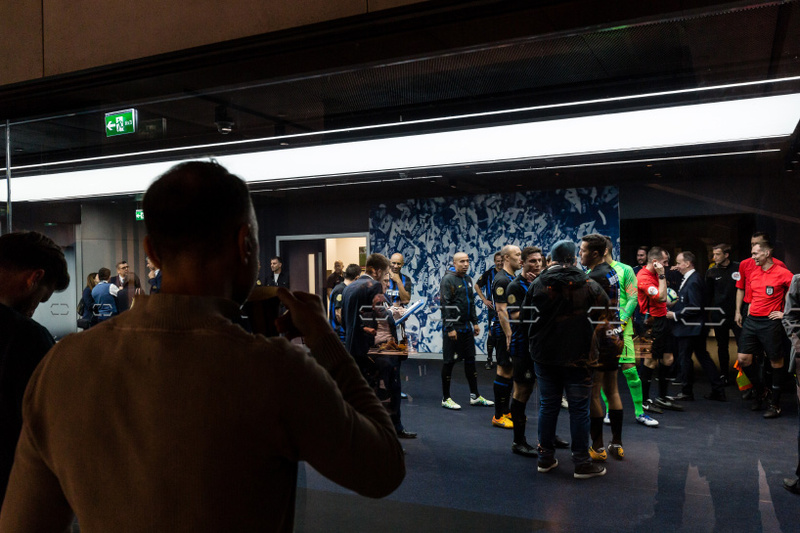 meanwhile, the tunnel club is a glass-walled private members club offering a ‘behind-the-scenes view’ of the players making their way to and from the pitch, as well as access to seats located behind the first team technical area. see designboom’s previous coverage of the project here.